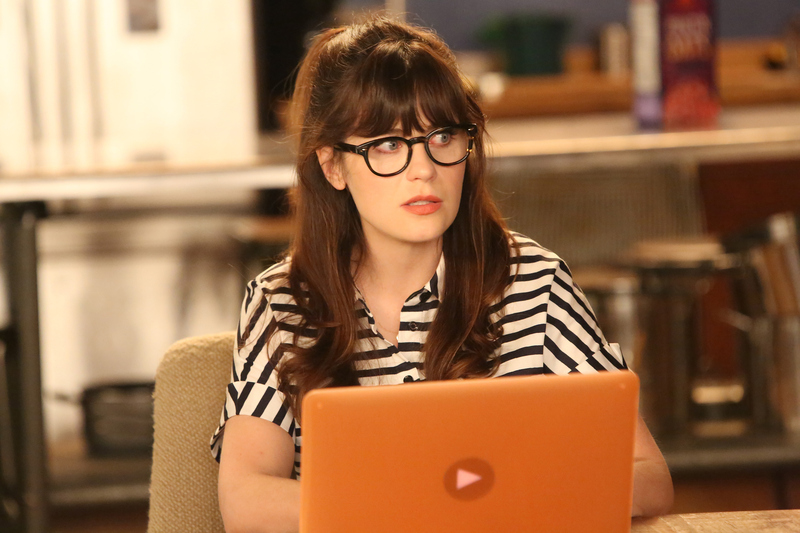 If you’re an awkward woman with an affinity for the “girly” things in life and feminism, then Jess Day from New Girl is most likely your spirit animal. Yet, even if you aren’t exactly like Zooey Deschanel’s TV character, you probably still find Jess on New Girl super relatable. Sure, empathetic extroverts with zany sides really feel the most connected to Jess, but her antics on New Girl for the last six seasons prove she is a woman of the people. New Girl has shown many of the ups and downs of adults who don’t quite have the whole adulting thing down yet. That’s what makes Jess so easy to relate to. She has struggled with her friendships, her career, and dating. And fans of New Girl totally understand where she’s coming from — in the good times and the bad. So whether you love spontaneous singing or not, here are 19 times that Jess was the most relatable person EVER. Even Tide to Go can’t help you out of that. At least she had her BFF Cece by her side. We’re big fans of just embracing the awkwardness. Bonus points for the cookies. We’ve all been there — especially during the holidays. Even the most polished people can unravel. Don’t insult Jess Day’s adorable clothes! If you’ve ever done online dating or bought something off of Craigslist, you know the feeling. When the guy you love is dating someone else, take up woodworking! Emotions are complex before your period. Texting your ex — even when it’s Nick — is a subtle skill. Extroverted people need getaways every now and then too. Sometimes you need intimate, one-on-one time with T. Swift. Because even though Jess Day can be goofy and funny, her emotions are complex and real. While the social media game of “Describe yourself in 3 fictional characters” has come and gone, Jess Day will always be the only character we ever need.